Stable Connect (SC) Ltd is the holder of an Australian Financial Services licence (AFSL #: 336964) allowing it to undertake the promotion and management of Horse Breeding and/or Racing Syndicates of any size and capital value. We offer a full range of management, consulting and support services to Thoroughbred Breeding and/or Racing Syndicates. We also focus heavily on supporting investors by ensuring their investment in bloodstock is well managed, protected and fairly treated. Typically stallion syndicates mainly involve the syndication of Stallion shares and/or lifetime breeding rights. Traditionally such stallion syndicates are structured into 40 or 50 shares. 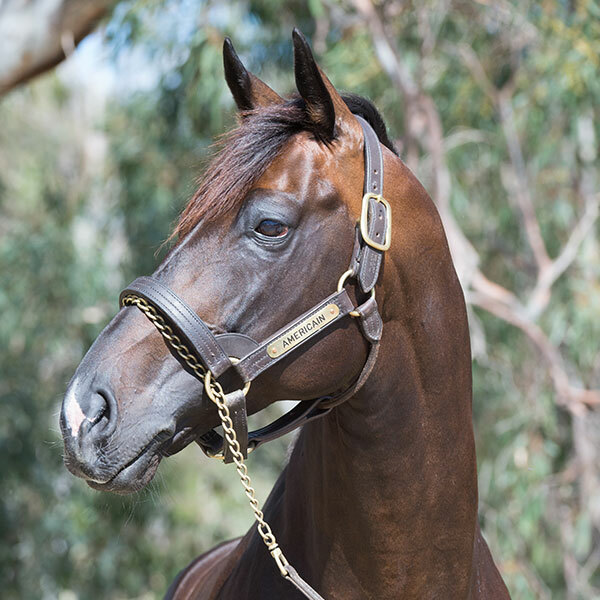 Each shareholder is usually entitled to a nomination each year to the Stallion including “free-return”. There may also be bonus nominations in earlier years depending on the deal. Shareholders may also be entitled to a dividend (should the revenue of the syndicate exceed relevant expenditure). The rules of the syndicate are covered by a Stallion syndicate deed. The Stud is also entitled to Stallion standing rights (e.g. : 12 nominations to the Stallion). These rights are in consideration for the Stud standing and marketing the Stallion and their duties and obligations are covered legally by a Stallion Standing agreement. These fees are agreed in the Stallion standing agreement. Stable Connect may act as the Syndicate manager and Responsible Entity for Stallion syndicates. Prospective purchasers of Shares in any Stallion syndicate should receive a Financial Services Guide (FSG) and Product Disclosure Statement (“PDS”) or Information Memorandum (IM). Our involvement has included professional support in the following stallions: Americain, Myboycharlie, Master of Design, The Factor, Bel Esprit, Star Witness, Akeed Mofeed, It’s a Dundeel, Trust in a Gust, Unencumbered, Puissance De Lune ect. The size, scope and structure of Breeding Funds will vary greatly based on the objectives of those involved in the venture. The rules and regulations of the Fund are usually covered by a Unit Trust Deed. There will be a bloodstock management agreement between the Fund and the appointed Bloodstock Managers (usually a Stud) which will detail the relationship between the two parties and the responsibilities and rights therein. The appointed Bloodstock Managers will have the right to divest and acquire bloodstock within prescribed limits as agreed. The fund will be able to terminate this agreement upon minimum standards not being met. The Bloodstock Managers will be entitled to specific remuneration for their efforts and it is envisaged that success based remuneration will be included. The Funds should be finite. However, at completion, there should be an option to roll a successful fund into a new fund for a further term. Information memorandums or relevant PDS’s will be prepared for perusal by interested parties. Stable Connect is an approved promoter and works closely with the lead regulator, Racing Victoria Limited (RVL). Stable Connect’s AFSL also allows it to appoint authorised representatives i.e. racehorse syndication companies. This relationship allows racehorse syndicators to undertake the promotion of Lead Regulator Approved Horse Racing syndicates within the scope of ASIC Class Order, CO 02/319 under our supervision. Access to numerous professionals such as lawyers, auditors and accountants. The directors are Adam Tims and Tim Johnson. We look forward to “Bringing Horse People Together”. The main advantage of Stable Connect is its ability to draw together expert advice under one roof. Our Melbourne office boasts Stable Financial expert accountants to the horse industry and Stable Legal expert lawyers to the horse industry. Syndicates managed by us will have greater attractiveness to investors due to the professional financial management of all Syndicates. The benefits of syndications are numerous and varied dependant on what type of participant in the syndicate you are and what type of syndicate it is. Generally, horse syndicates allow like minded individuals to come together and invest in quantity and/or quality of stock that they would not be able to undertake solely, and have it managed and operated by experienced professionals.